Structure of the concourse slab is mostly completed for the station box. 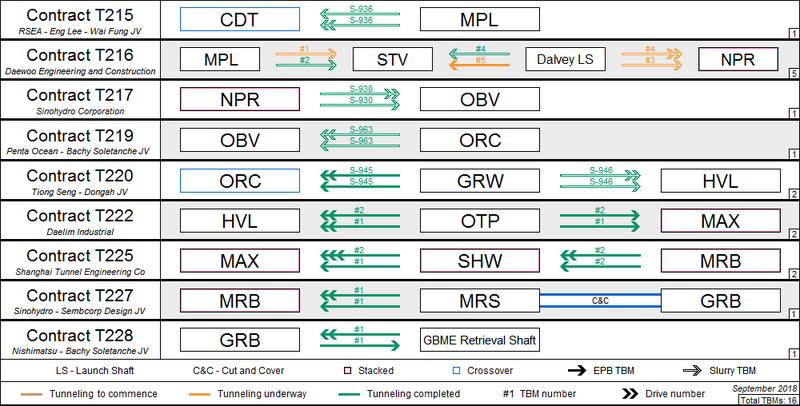 TBM B drive is over 85% completed now and breakthrough at Springleaf is expected in early Q2. TBM C2 will follow suit a quarter later. Staging works for trackwork will commence at Tagore by year end with handover of site possession to CTCI at the later part of the year.